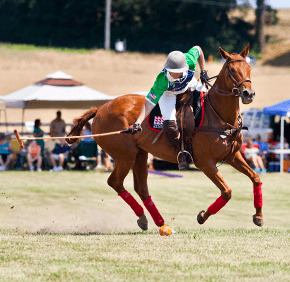 The seventh annual Ten Oaks Cup Polo Match was held June 23 to raise funds for Our Daily Bread Employment Center, a program of Catholic Charities of Baltimore. Fred and Mary Agnes Lewis, parishioners of St. Louis in Clarksville, have hosted the event on their family farm near Clarksville since 2005. Since that time, the event has raised more than $250,000 to benefit Our Daily Bread Employment Center, where Mary Agnes Lewis has volunteered for more than 25 years. The Baltimore City center offers hot meals and resources to help people achieve self-sufficiency through employment and housing. To see a slideshow of photos, navigate the arrows below.